Move-in ready! Hard to find Treeline lot. The "Merryvale" is an exciting new plan by Inspired Homes. Spacious 2 story offers designer kitchen cabinets, island w/granite counter tops, pantry, & stainless steel appliances. Large master bath and walk-in closet. Quiet neighborhood yet close to shops and major highways plus pool, cabana, playground, 73 acres of green space. Enjoy Lee's Summit amenities at Cass County taxes. 10 year structural Warranty included. 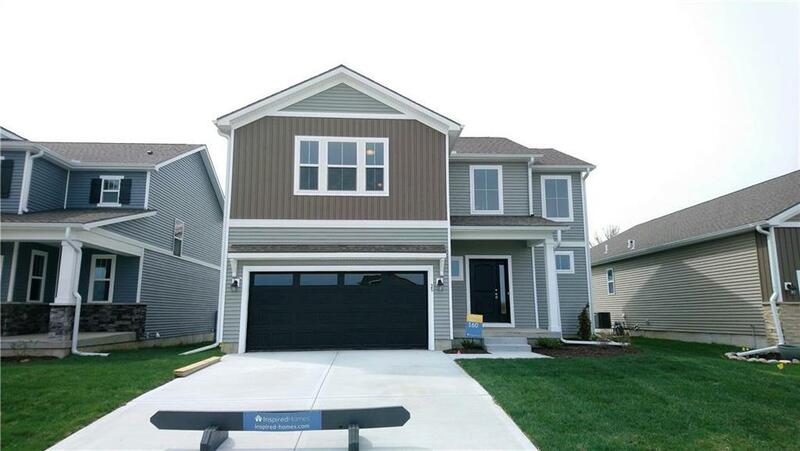 Directions: Kensington Farms Community is located in Lee's Summit, MO. Just South of County Line Road in between Ward Road and Pryor. HWY 150 to Ward, South on Ward, community is on your right after you've passed County Line Rd.